Chrome plated brass tap to BS 5412. 8.4L/min at 0.1 bar working pressure. 10mm to 15mm tails. Supplied with 1.1/4" pop up waste. Comes with fixings. 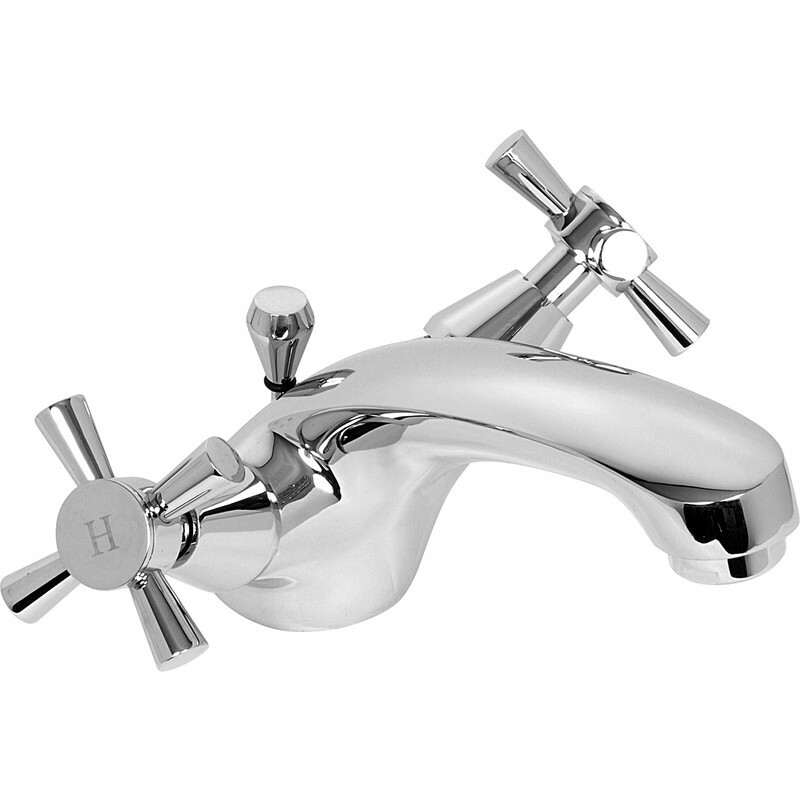 Deva Milan Mono Basin Mixer Tap is rated 4.5 out of 5 by 2. Rated 4 out of 5 by A DIY customer from Average Bought this last week to replace existing ceramic taps. It's difficult to find taps that are grippable (for an arthritis sufferer) and have a pop up waste. These seem to have gone out of fashion if you want both of these features in one tap, as manufacturers opt for sleek and slippy handles that are no good to open or close when your hands are wet or have dexterity problems. Anyway the taps look good and work fine, but they do not feel like great quality. The pop up waste and accompanying rod don't seem robust enough to last in our hard water area. Our last one became covered in timescale so only time will tell. Two annoying things I found with the taps are- the 'C' for cold printed is upside down, only realised after the taps were installed. At first I thought I'd screwed the tops on wrong, but no matter which way it's screwed on its still upside down! The second annoying thing was the tops seem to unscrew themselves during use, so irritating! I've bought the matching bath taps as well which also have the upside down 'c' feature. Decided to keep them as uninstalling and getting a refund is too much bother, as well as the cost of getting a plumber out again.